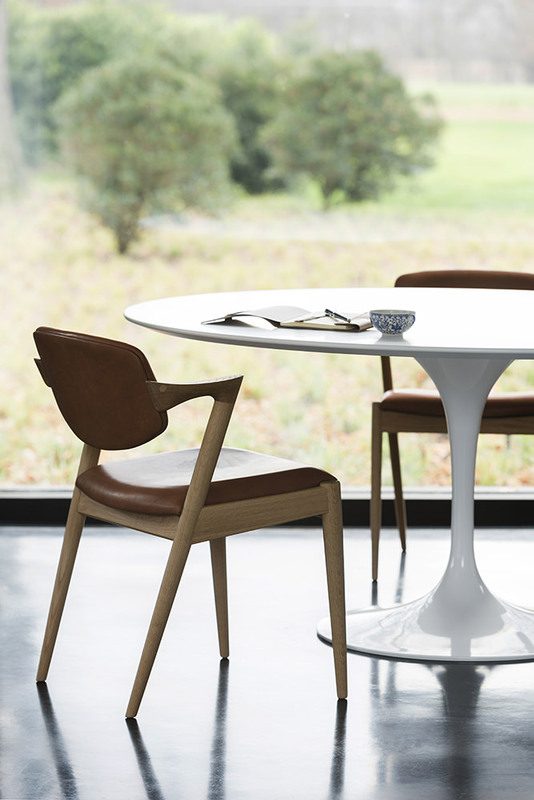 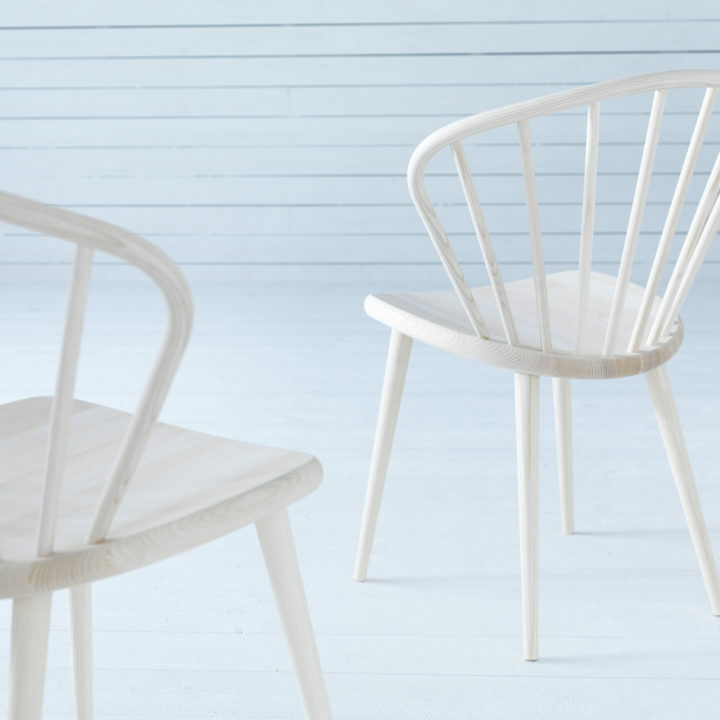 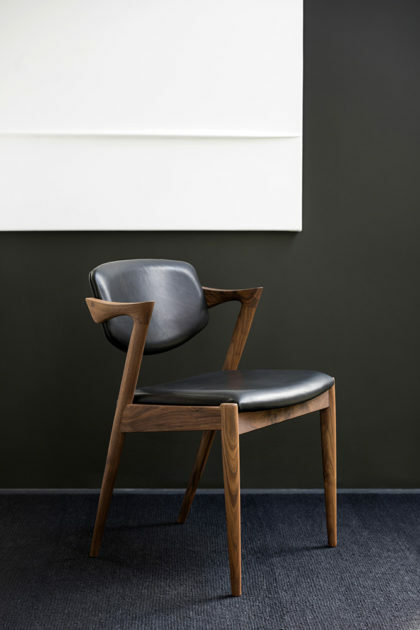 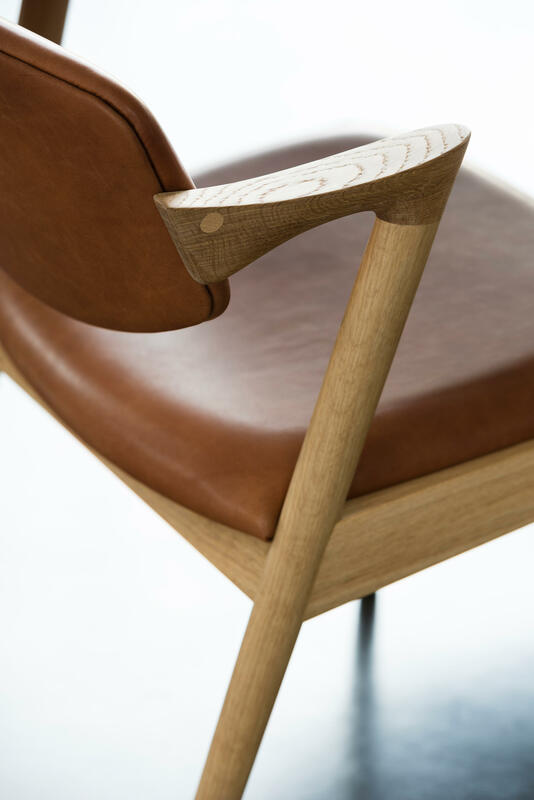 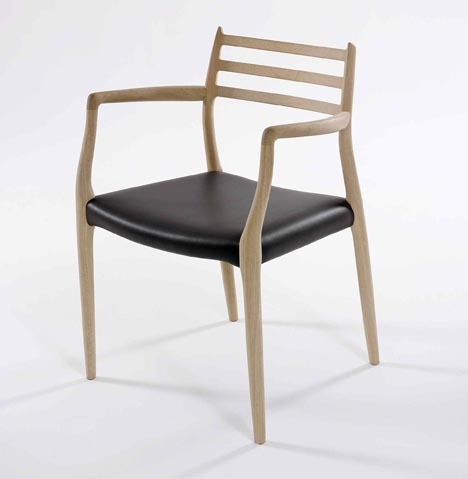 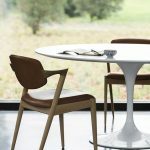 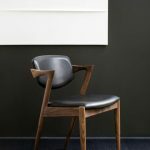 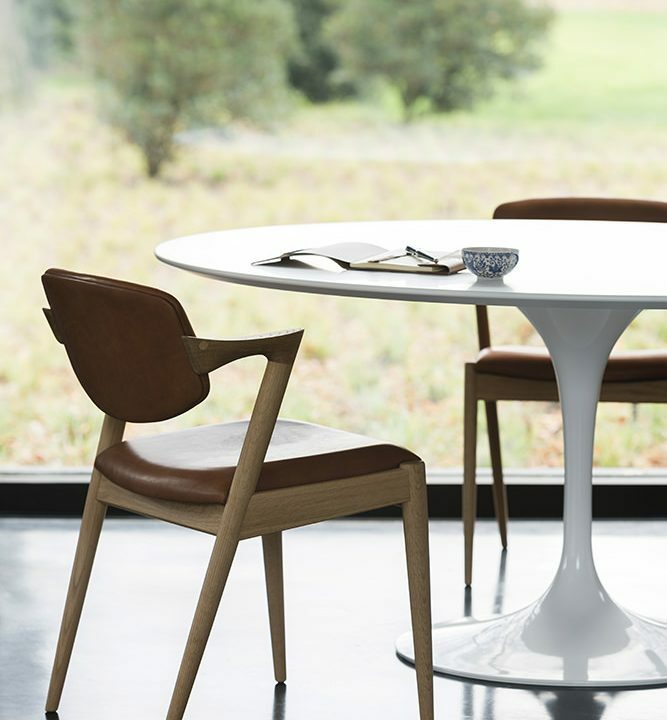 «The No42 is one of the iconic chairs of the Danish designer Kai Kristiansen. 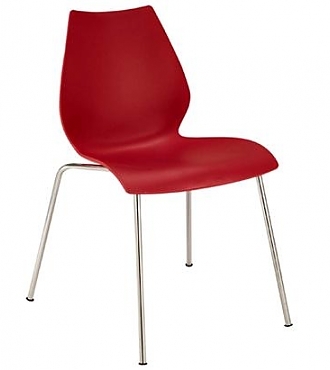 This chair is spacious and comfortable, enhanced by the inclining back. 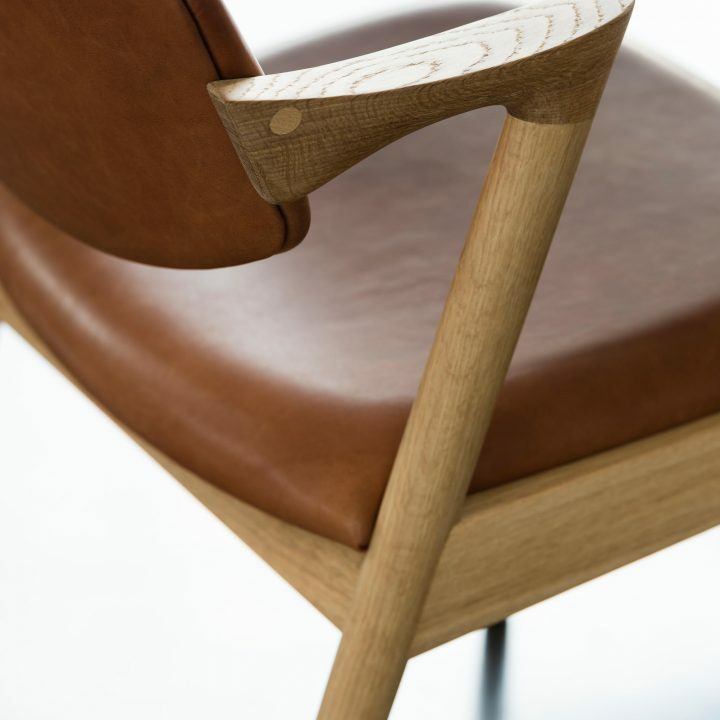 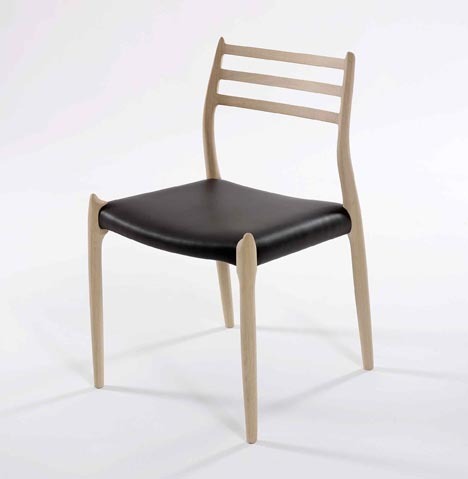 Its shape is characterized by the edgy half arm and inclining rear legs».